About 11 billion tons of stuff gets carried around the world every year by large ships. Clothes, flat-screen TVs, grain, cars, oil - transporting these goods from port to port is what makes the global economy go 'round. Now there's a great way to visualize this entire process, through this stunning interactive map from the UCL Energy Institute. 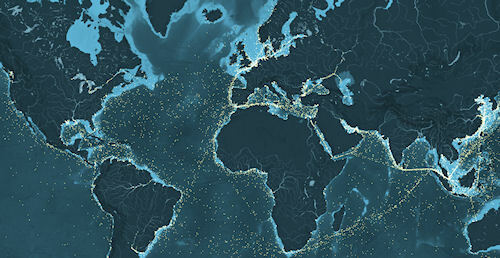 The researchers assembled data from the thousands of commercial ships that moved across the ocean in 2012.